The Orlando Montessori Teacher Education Institute offers a unique year round program, which is designed to offer students a reasonable and manageable schedule, while providing them with continued support and feedback. This approach not only provides the student with on-going instruction at a steady pace, it also allows for more extensive contact with internship schools and a strong support system among the staff and students. The course is held at the Montessori School of Celebration, 901 Begonia Road, Celebration, FL 34747, which was built to serve children 2 ½ through 15 years of age and serves as a lab school for OMTEI. The program begins with a four and a half-week summer phase, followed by five weekend seminars and a June evaluation and completion session. The certification program can be completed in approximately twelve months, however, some students prefer the option of taking the course over two years or of completing the academic phase only. Individualized plans to meet the student's needs may be arranged with the director. Successful completion of the academic and internship program entitles the student to receipt of Montessori certification from the American Montessori Society. The Orlando Montessori Teacher Education Institute is dedicated to the life and work of Ann Burke Neubert. She founded the Northeast Montessori Institute in Boston, MA in 1984. The Orlando satellite program came into existence in 1988 and Ann directed both programs until her untimely death in Sept. 1990. Ann educated hundreds of teachers during her twenty-three years of dedication and service to the Montessori Method of teaching. These teachers, in turn, have taught thousands of children. Ann's life touched many people throughout the world, and her intelligence, humor, sincerity, and integrity were greatly admired. Her insight and inspiration will live on in the hearts and minds of us at OMTEI, as we dedicate ourselves to continuing to provide excellence in Montessori teacher education. Sr. Anthonita Porta also played a very important roll in making it possible to develop this teacher education program in Orlando. She accepted the opportunity to start a new Montessori pre-school at St. James Cathedral School in downtown Orlando in 1988 and proved, beyond a doubt, that children from all backgrounds are drawn to and learn from the Montessori materials and method. Her kind and gentle spirit was evident in all she did. Those who had her as a teacher or heard her speak will always remember the lessons she shared so beautifully. The primary mission of the Orlando Montessori Teacher Education Institute is to provide highly motivated, caring individuals with the opportunity and resources that enable them to become successful, effective Montessori teachers. Our faculty believes that, in the Montessori classroom, the teacher must respond to and provide for the "whole child." 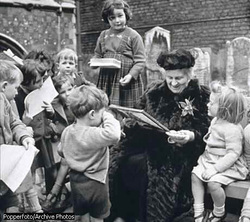 Likewise, we strongly believe that, in the Montessori teacher education environment, the faculty must respond to and provide for the "whole adult." We do so, not only by providing the academic course work required for further Montessori advancement, but also by attempting to address the physical, spiritual, and emotional needs of our students. We provide an aesthetic and tranquil setting that offers the opportunity to engage in varied activities. It is a positive, nurturing place to learn and to grow. We value not only the high quality of the academic program, but also the sense of community that grows as the year progresses. We truly hope that the Montessori program offered by the Institute nurtures not only the mind, but also the body and inner psyche, which make up the "wholeness" of each individual. "The real preparation for education is the study of one's self. The training of the teacher, who is to help life, is something far more than the learning of ideas. It includes the training of character; it is the preparation of the spirit."